This book has just landed on my doorstep. I will be integrating any fresh tidbits, comments and insights to the Design / Development pages over the next few days. 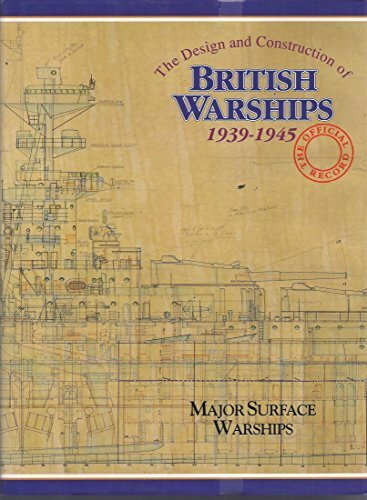 At the end of the Second World War the Director of Naval Construction ordered the various design teams of his department to record their wartime activities - from designing the biggest fleet carrier down to the humblest tugboat, summarising their reasoning and the integration of lessons from combat. These essays were much later assembled by Deputy Chief Naval Architect D.K. Brown into this set of three books. It is full of useful tidbits of information and reasoning, offering rare insight into the mind of those responsible for designing and building ships such as the Illustrious, Implacable and Audacious types. It's always good to get such a perspective from the people actually involved: It bypasses the decades worth of revision (not always for the best), second-guessing, eagle-eyed hindsight and chest-beating often applied in other summaries.Very Good.